These photographs were taken by members of the Houston family of their home in Co Mayo. They rented a large sheep and cattle holding from Lords Sligo and Lucan. The photographs sadly were undated but I estimate they must have been taken between 1905 and 1910. 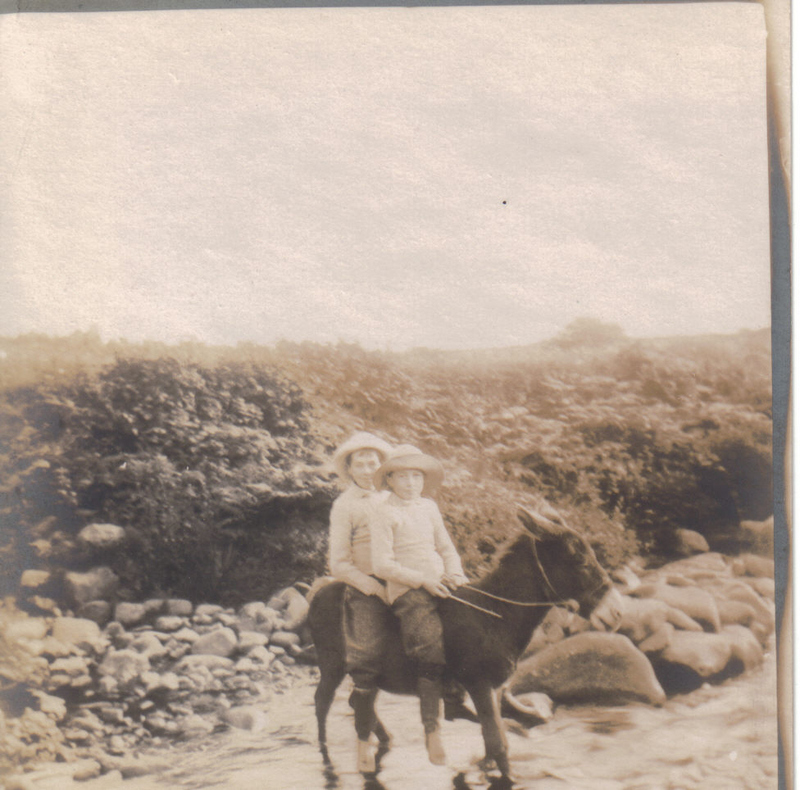 Included in the shots are my great grandfather and my grandmother. My great grandfather, Hugh MacDonell, was a Scot who had been hired by the Houstons to act as Head Stockman for the sheep run which stretched from Tallavbaun over Mweelrea. He arrived in Ireland sometime around 1871 with his wife Agnes and three children. 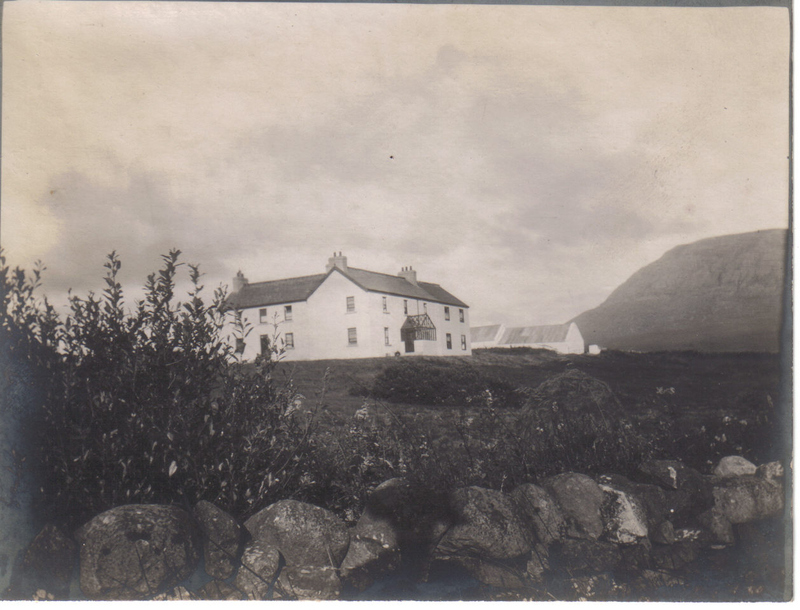 They lived at Sixnoggins adjacent to Killary Lodge, the Houston home, and he and Agnes would go on to have more children, the last being my grandmother Isabella. Agnes died in Mayo and is buried in Louisburgh. Isabella married a constable in the RIC and left Mayo prior to 1911 when she had her first daughter in Belfast. 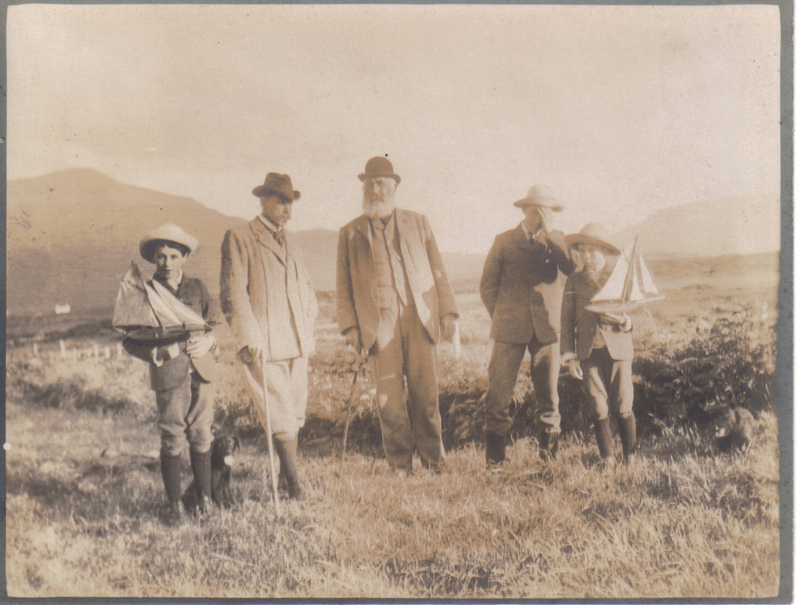 Hugh also left Ireland shortly afterwards and by 1911 at the age of 70 was running a sheep farm in the Scottish Lowlands. Isabella was very homesick in Belfast. Prior to her marriage she had never been further than Westport and hearing of this Mrs Houston put together some photographs of the Lodge and sent them to her as an album. She kept them with her through her time in Belfast and later when the family moved to Scotland. Though she came to love Perthshire it was always a second best to Mayo and the view across the Killary to Connemara. Hi, My wife is a descendant of John James Louden, a fairly famous barrister-at-law from 1870-1922 when he died. His first son , John O’Brien Louden was born on April 4, 1871, at South Mall Westport, and John James Louden listed his address as Killary House Louisburgh in the birth document. I assume several families lived there in this timeframe??? 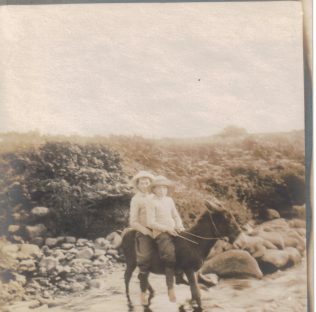 My wife found those photographs today they went into an obscure part of the page. The picture with William Houstoun is Probably Alfred Boswall Houstoun and his children. 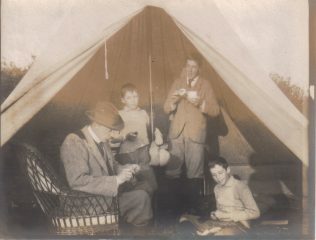 William died in 1872 and Alfred took possession about 1890 I expect he came for shooting and fishing that is probably a July August picture when the children were on holidays. I must fish out a picture of Hugh with his shepherds which I presume is the same vintage. Slea Head Drive, The Dingle Peninsula. Wicklow Gaol Prisoners and Transportation.